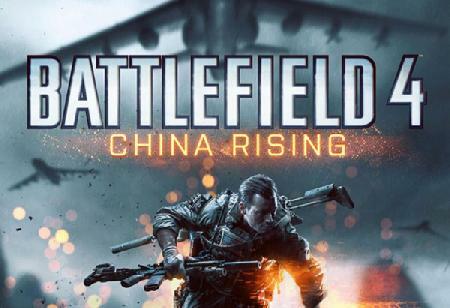 Battlefield 4 China Rising DLC Arrives December 3 for P.. DICE updated the premium members calendar today revealing that the "China Rising" expansion pack (DLC), the first of five planned expansion packs for Battlefield 4, will arrive for premium members on December 3. The China Rising expansion pack adds 4 new multiplayer maps, vehicles, dog tags and equipment. Everywhere to run. Nowhere to hide. Fight for dominance across the vast and majestic Chinese mainland in four massive maps, using all-new vehicles and high-tech military equipment. Battlefield 4 Premium members can access the China Rising expansion pack two weeks early on December 3, while non-premium players will need to wait until December 17. Battlefield 4 launches today October 29th in North America and November 1st in Europe and Australasia on Xbox 360, PlayStation 3 and PC. The Xbox One version of BF4 will be available on November 22, 2013. If you're planning on grabbing the game on Xbox One, check out our new website XONE-HQ.COM. For more of the latest Battlefield 4 news, game release dates, video game trailers and everything else Xbox make sure you subscribe to 360-HQ and XONE-HQ via Google+, Twitter, YouTube and Facebook! You can find links to our social channels all over our websites.